Happy Halloween ghouls and gals! Last week I hurried along to a frightfully fabulous beauty event held at Debenhams Bullring and it seriously got me in the spooky spirit. OK I'll quit the puns there, but it got me oh so inspired for Halloween and you can see my look here! 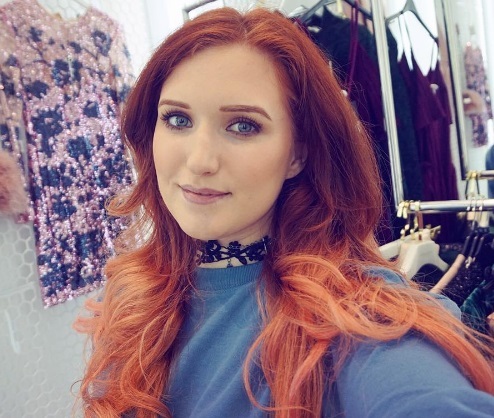 Debenhams hosted an extravaganza of Halloween beauty and we bloggers were treated to a masterclass from different counters. I don't always head to Debenhams first for my makeup buys but with the likes of Illamasqua and Make Up For Ever on my doorstep now, my product wishlist just got a whole lot longer. First we followed a contoured skeleton look at Make Up For Ever, home of the HD foundation that was possibly my first ever Kardashian-inspired purchase circa 2011. I love the concession area they have now and these are the light-up mirrors of my dreams! MUFE have so many pro and niche products, from skin moulding putty to a very blood-like red liquid. I'm keen to try their base and finishing products as the quality is so high and they can ugrade your FOTD to flawless finish levels. Their HD powder is the one! We had a sample to take home with us and it's like applying fairy dust each morning - it's so light yet so good! With a glass of fizz in hand, we popped across to Illamasqua and all adored Chetna's cryptic clown look. I loved chatting to her about all of the different looks she was trying each day for Magikmasqua. HOW cute is this one! I've recently bought a palette, lipstick and contour duo after having a makeover there and I'm firmly an Illamasqua convert. They have some Christmas gift sets of all different sorts of products and we also tried the latest collect in aid of the charity S.O.P.H.I.E., which Illamasqua has a long standing partnership with. Next we took a seat the glitteringly gothic Urban Decay counter and watched the classic costume tutorial of 'I'm a mouse, duh!'. Genius! The unicorn tears are so sweet too. Absolute glitter goals! We cooed over the palettes and admired their adorable pumpkin. I've been waiting literally years for my perfect Urban Decay palette and as soon as they bring out a warm, peachy set, I'll be straight there. I haven't given UD enough focus in recent years as I feel they are all about the colour, and nowadays I'm not sure if brights really suit me! That is nothing makeover can't sort out though - I must book in soon and find my perfect UD shades! Thank you Debenhams for a hugely inspirational evening and a peek at some gorgeous products. I also included the evening in my weekly vlog below! Did you know I have started weekly vlogging again? Indeed I have! On Saturday I glammed up and headed to my favourite destination - Bullring! It's actually a huge treat for me to take myself shopping on a weekend because I always seem to be overloaded with errands and family engagements on Saturdays, and I don't often grant myself free reign of the shops. I used to love visiting after work and spending a few quiet hours browsing but I can't get there with enough time at my new job so it's strictly a weekend affair. Bullring hosted a Your Five event to showcase new season trends with free beauty and style consultations. I booked in and was first toured around five stands of autumn staples: the skirt, the coat, the trousers, the knit and the shoe! The stylist pulled out different trends of this season, from military coats to ruffled knits to metallic booties. Instead of jumping on several trends, it was the perfect way to clearly see a concentrated selection of key styles and pick the one item from each category that I gravitated towards. All items were collated in a curated list there and then that was shortly emailed to me later in the day - handy! I was itching to dive into the shops and hunt out my new chosen trends, but next was my makeup consultation where you could choose from five key beauty looks of the season, including dark lips and flicked liner. I chose contouring as it's STILL the technique I can't quite perfect and it was undoubtedly the best lesson I've had. Makeup artist Sarah talked me through the subtle ways I could use a cream contour stick to first map out the angles of my face and then blend to a seamless finish. I definitely took my shopping list of products and went to hunt them all down after! I entered the Bullring PLUS app competition too as I am seriously in need of winning big now that I have a shopping list as long as my arm! Thank you Bullring for inviting me down; it really made sense of AW16 and I'm looking forward to putting my learning into practice. Let's hit the shops! Gooood evening all, or good morning to you wherever you are! Last weekend I linked up with New Square West Bromwich once again to film their Autumn #BrollyFashion show, and it was a mighty showcase of SO many trends. The models all wore outfits from the stores at the centre including Outfit, River Island and Primark, and it was a sea of pinafores, metallics, ruffles, and more. As I was filming I was making mental notes to dash around the shops and pick up loads of items, plus I kept peeking in store doorways to the new ranges on show and bookmarking what I wanted to take a closer look at! There's something about autumn that makes so much fashion sense and I'm on the hunt for a new coat, boots, backpack - basically everything! Plus the male models gave me a hug goodbye on the day so I definitely had a great time haha. Enjoy the show! A Body Shop Haul: 3 products you need, 3 you do not. Is this blog title slightly click bait-y? Well considering when blogging first came about, we would use any manner of phrase or song lyric that had absolutely nothing to do with our 'content'. If we get back to basics, here are literally three products I re-purchased that I completely recommend and three that I will be gingerly using up and probably not revisiting! Do any of us have the time or funds to be buying products we begrudgingly squeeze, pump and scrape out with growing annoyance until that last satisfying drop when you know it's over - you have broken up with your cleanser/toner/lotion for good! Well I do not want to waste my pocket money so here is what a good £70 at The Body Shop looks like and what I rate or hate. Drops of Youth Collection - This juicy range hasn't stopped delivering since I wrote about it last year and each product (minus the unnecessary Wonderblur) is such a heavy hitter. There's nothing faux luxurious here - it's all about hydration and freshness and bouncy, plump skin. It literally feeds my skin! The Body Shop does three products for around £50 in a bundle and you'll be sorted for a few months. You need to try this if you have 20-something dehydrated skin and live in a polluted city. It's like you've walked through a botanical forest after adding these to your routine. That Bouncy Sleeping Mask is incredible! Vitamin E SPF 30 - I snapped up a few products in a 3 for 2 deal along with the unpictured Camomile Cleansing Oil (slightly greasy but a great price) as I NEED an SPF in my routine. I'm so naughty for not using one every day! This one is fine and OK and just 'good enough'. It smooths on like a thick milk and sticks around for a few too many minutes in the morning. I have to pile my foundation on top and it just ain't pretty. Lovely smell and texture but not for the heavy makeup wearer like myself. The hunt is still on for a great SPF! Vitamin E Aqua Boost Sorbet - I thought this could be a bargain replacement for the pricey Clinique Moisture Surge as it has suspiciously similar packaging, but my product was quite bitty and clumpy, as though the formula hadn't been mixed properly. The joys of Clinique MS is how is glides on smoothly, while this product felt stodgy. If it was whipped up a little further it could have been perfect. If I'm ever watching my pennies though, it could be a purse-friendly daily moisturiser. Blue Corn Scrub Mask - I purchased this from Grand Central in Birmingham when I was having a terrible skin week. I needed something to dramatically drive all of the oil, impurities and stress from my skin and a heavy high-street mask generally works. However I never feel the need to strip my face too often and this has languished in my collection. I find adding a huge dose of moisture to misbehaving skin actually does better than to scrub everything away, but having a mask in your skincare arsenal is useful when a bit of old-school TLC is needed in the form of a magazine, 15 minutes relaxation, and scaring your housemates when you pop your head round their door. I'm going to try the new Neutrogena Hydro Boost Water Gel (1/3 off in Boots at the moment) next and see how that fares!